Out of an Own Daughter of On The Money Red! Verily Sixes' foals are all eligible for the AQHA Incentive fund. For a 4 minute video of Verily Sixes showing him being handled on a lead, start the media player below. Click on any photo to view it enlarged. Then use your Browser 'Back' button to return to this page. MORE PHOTOS of Verily Sixes are available in his Photo Gallery. 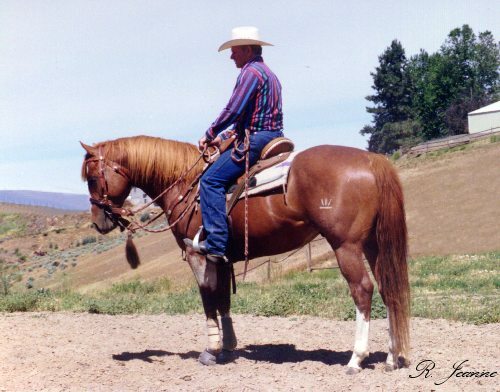 'Six' is the product of breeding a daughter of a leading barrel horse sire to a stallion who was also a leading barrel horse sire. Both of these great stallions are now deceased. Verily Sixes stands 15.1 and weighs 1,100 pounds, with heavy bone and large, strong joints. 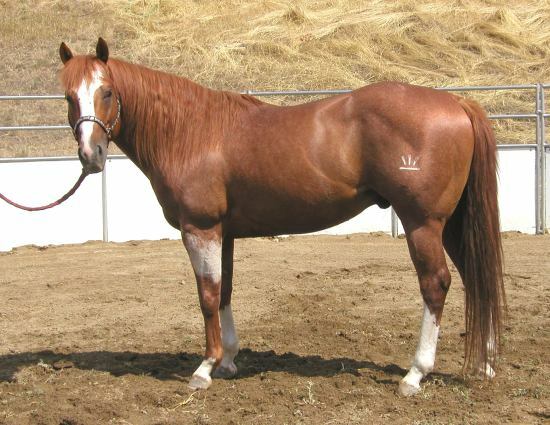 He is very smooth-gaited, with lots of natural impulsion. We elected to keep him off the track and not take a chance on an early injury. Six is enrolled in the AQHA Incentive Fund and we plan to keep him there, in order to encourage the showing of his offspring in AQHA approved events. We owned Verily Sixes' dam, Money Red Bar. You can see photos and get more information about her by clicking on her name, or via the pedigree below. Verily Sixes - what's in a name? Well, 'verily' (pronounced vare-ily) is a Bible word meaning 'truly'. 'Truly Sixes'. Compare the big blaze face, white stockings, and red roan coat of Packin Sixes with his son, and we bet you'll agree that the name fits. 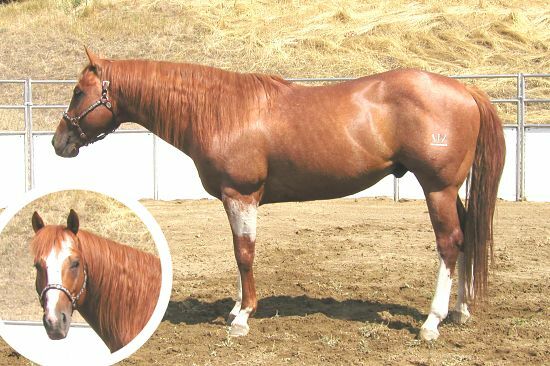 Photos and information about Packin Sixes are available by clicking on his name or via the pedigree. High Point Open Barrel Racing Stallion for 2006! 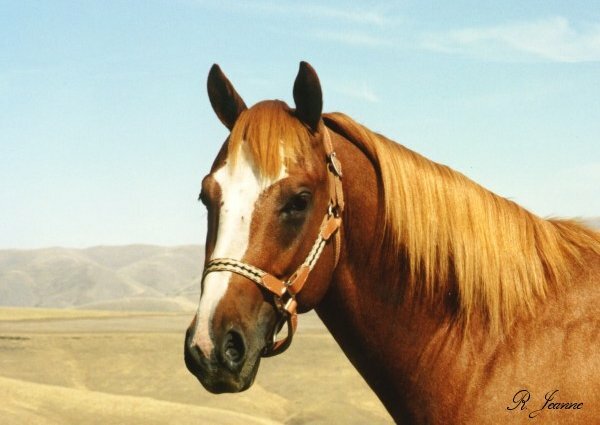 'Tanner' was ridden by Laura Lee Thomas, and they showed extensively in AQHA shows and other major barrel racing and pole bending events on the east coast and across the country. If you found this information via a search and you have not yet seen our Horsemanship and Pole Bending section, we would like to encourage you to take a look. All content in this document copyright © Sunrise West Quarter Horses, LLC, all rights reserved. All photographs and text on this site copyright Sunrise West Quarter Horses, LLC and R.Jeanne Equine Photography, all rights reserved. Comments about the site structure should be directed to webmaster (at) sunrisewest (dot) com.